The company claims to be Â“gearing towards a decentralized financial abc ecosystem.Â” The implication is the readiness of the company to contribute its own little quota to the industryÂ’s growth. 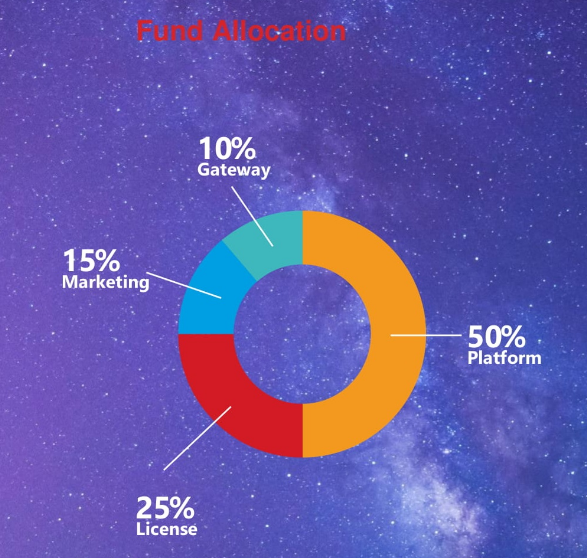 It makes its contributions through its GTO, tokens, and its readiness to assist potential token owners to see their dream come true. Â•	Sale date: The public GTO opens on January 3rd, 2019, and ends on March 2nd, 2019. Have you been contemplating launching your own token but donÂ’t know how to go about it? If thatÂ’s what you are currently going through, MYICOPAD offers everyone the opportunity to launch their own tokens. This is just a section of the form. Scroll down the page to see the entire form and fill it accordingly. ThatÂ’s the first step towards creating your own token. Click Â“SAVE & SUBMITÂ” after you have filled the form meticulously. Â•	Total token: 50 million. Â•	Full control of your ICO dashboard. Â•	Token purchases with the appropriate legal agreement. Â•	Listing of multiple ICOs on a single platform. STARS was developed specifically as the digital currency of choice for the online gaming community and online casinos. Through the gamersÂ’ community and its casino, STARS has succeeded in creating the right utility for its tokens. Â•	A crypto casino that boasts of over 10 different live casino games. Â•	STARS merchant account and company bank. Â•	Over 40 gambling software providers. Â•	Game management system and banner. Â•	Online shops with casinos. You can see the first Gaming Token Offering in history on the platformÂ’s official website. It is one of the first gaming tokens that are created on two different blockchain technologies. A gateway was used for connecting the separate technologies to make the dream of a gaming token come true. Â•	GTO Week-01: 20% bonus. Â•	GTO Week-02: 15% bonus. Â•	GTO Week-03: 10% bonus.